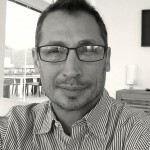 RIO DE JANEIRO, BRAZIL – Many of our regular heavy readers may have noticed something new on The Rio Times web site, which started as a “soft launch” earlier this month. After reading more than three articles per week we are charging a small subscription fee of US$5 per month (or US$50 per year), in the publishing business this has been called a “paywall” and it is the newspaper industry’s best chance at surviving. Stone Korshak, Editor and Publisher of The Rio Times. The way it works is that a “meter” is now on the site, and it keeps track of how many articles you are looking at. After the first two articles it tells you that for the price of a fancy coffee drink or a bottle of beer per month, you can help us continue to provide English language news about Rio de Janeiro and Brazil. But if you still feel like you should not have to pay, you can close that message and continue. Next, after the third article in a week (that means twelve articles per month), you are asked again, and this time in order to continue we require that you pay for the service. About 85 percent of our readers are looking at under ten articles per month or less, so this effects about fifteen percent of our audience, and we hope that group of regular heavy readers will see the value. We have been considering this model for years like most news publishers, and the general industry trend is going in this direction. It may not save the news business, but it is its best hope of being able to continue to pay for reporters and editors, production services and the administration needed to create the product – the news that you read. The general thought on paywalls is that the more specific and niche the content, the more valid it is to charge for it. We feel we have a very specific news product, and that the fifteen percent of our regular heavy readers should be able to pay this small (let’s face it nominal) cost, and unfortunately those that can’t or won’t, probably are not who we should be focusing on as a business. Those that are close to The Rio Times, either our past and present news team, advertising partners and friends and family know how challenging keeping this service alive has been. In our six-year history we have lost money every year but in 2011, when Brazil was booming, and in the last six months we have gone through major changes trying to find a sustainable model. We know, even after all this rationalization, that many readers will simply not pay to read news online. Even my family and best friends will raise their hands and say out of principle this will not stand. Yet it is the future of online news, and something we literally have to try. Even more so, we feel the work we do and the product we provide is worth paying (or getting paid) for. 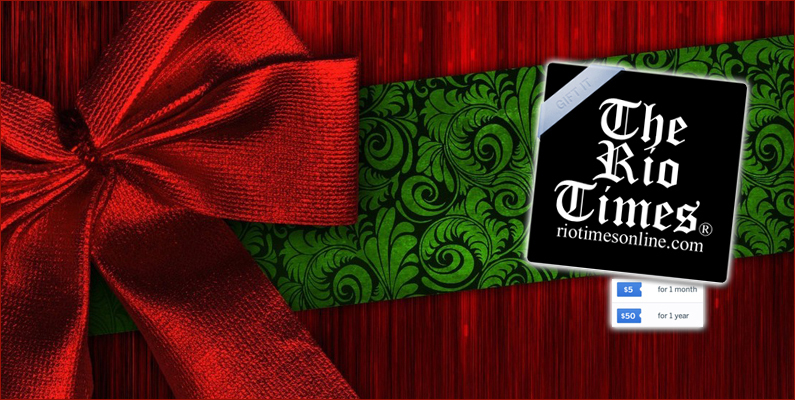 To help ease the transition, we have offered a “Give the Gift of The Rio Times” option for the holidays. So you can buy a year subscription of US$50 for your friends and family (or yourself), the gift of knowledge. Read local news about Rio de Janeiro and Brazil in English, and help us continue to provide this service. Tis the season, Merry Christmas, Happy Holidays! I am certainly willing to pay to help keep you in business. I think that the Rio Times is a useful adjunct for the expats who live in Brasil. My only comment is that I would have liked to know this from the start instead of the pop up appearing without warning or info as to why or where you were going with it. You have to try different models to see how the business can best be sustained so I completely understand it. I have gotten similar messages from other newspapers. Keep doing the good work!